Maturity is a very loosely interpreted term used in reference to music. What exactly makes a band mature? When reading criticism it is notable that maturity tends to be directly proportional to the somberness of the music. When The National released High Violet back in 2010 to shining reviews, writers threw the term 'maturity' a lot, solely because the music was significantly less upbeat than their previous efforts, almost as if the members themselves had grown up (despite most of them being in ther 40's). But when I think of a bands maturation, I think of them as finally finding their sound and defining who they are as musicians, which I think is how the term should be interpreted. In this sense, 20 year old Dylan Baldi's pop-punk outfit Cloud Nothings, hailing from nothing but a knack for catchy pop hooks and some lo-fi recording equipment and evolving into a dark, jam-prone emo powerhouse on their sophomore effort, Attack On Memory, has definitely matured in every sense of the term. 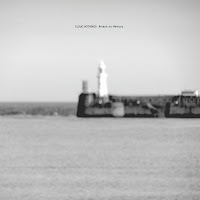 Cloud Nothing's self-titled debut, recorded by nobody but Baldi alone, definitely already seemed like a mature release. Baldi definitely knew what he was doing, and sounded like he was content with continuing in the poppy and youthful and almost radio-friendly direction he was already headed. Anthems such as "Should Have" and "All The Time" would sound golden in the ears of the Tom Delogne worshipping teenagers of today. On his sophomore effort, recorded by the legendary Steve Albini, Baldi dropped the themes of young love and other teenage emotion and replaced it with a darker and more emo driven overtone, which is immediately evident by the eerie piano line that opens up the album on "No Future/No Past". The change that Cloud Nothings has went through since their debut is almost shocking, with Baldi chanting "give up/come to/no/we're through" throughout the track and slowly building up until the track's outro, which features a screaming chorus of the track's title. Although the music may be significantly darker, the catchy pop tunes are still there. The lead single on the album, "Stay Useless", features the usual catchy guitar riffs and song structure from Cloud Nothing's self titled, similar to the instrumental track "Separation", which really wouldn't even seem too out of place on the self titled. In a recent interview, Baldi stated his ambition to make the album a "music album" and not a "pop album", with a "pop album" being a collection of songs that you could pull out and listen to (much like the self titled, or the earlier compilation Turning On), and a "music album" being one singular experience. But one of the more significant points that he made was in reference to the album's title, saying that the record was an "attack on memory" of what people thought the band was, which it definitely works well as. The joyful, poppy Cloud Nothings that made tracks such as "Can't Stay Awake" and "All The Time" has passed, and the band has now matured into what they will now be in times to come. On "No Sentiment", Baldi harshly growls "no nostalgia/no sentiment/we're over it now".